- Alpha channel bugs are fixed. - Missing details on the lower aft corner of the canopy is added. - Rework on Yellow 1 according to historical photos. 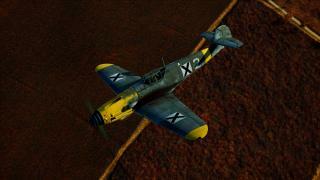 -fix bug on top canopy slat. -fix bug on lower surface of supercharger intake. 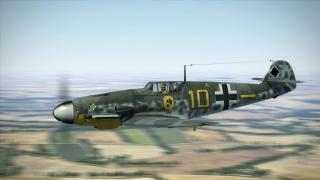 Bf109G2 9./JG52 Karaya skin pack, 12 skins included for PWCG. Yellow1 this is a different one than Spectre's in post #393, flown by Hermann Graf, W.Nr.13531. it has 113 victory mark on rudder in early August 1942. Yellow11 is also flown by Hermann Graf sometimes, W.Nr13670, He achieved his 150th victory in this plane on 4 Sep 1942. I just realize that you already made a yellow 11 before. I am very sorry for that. 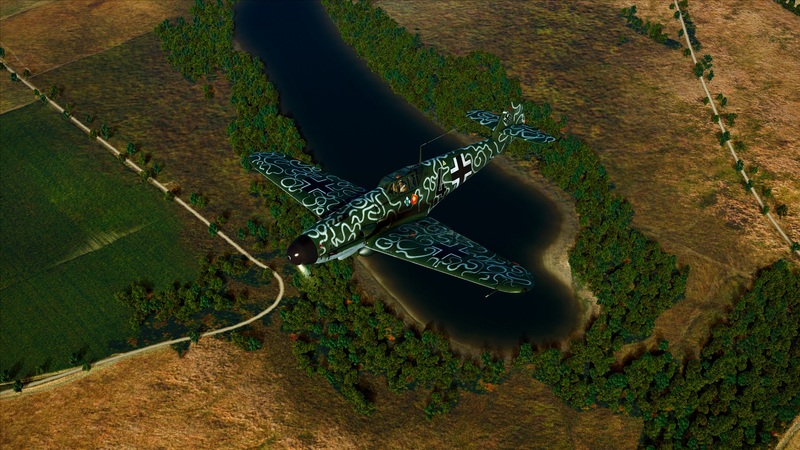 It seems that we are close to running out of historical eastern front skins database ! Hi Gustav. Many thanks for these. In game on my setup the grey is colours is ery very light/faded. Its a very milky gray. I game from a laptop and my nvidia control panel does not have for example vibrance/hue which may be the problem. Is there anyway with for example gimp that I can make the skins "darker". Hello Chandalier, I use desktop and the video card is Nvida also, I just use default video card color setting., I think 1 thing maybe you need to check is in-game gamma setting. in game GUI you can decrease it down to 0.8 if I remember correctly. 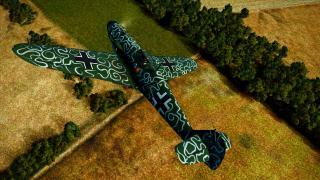 but for better spotting enemy planes people normally tune it down to 0.6 or even lower. in this case, you need to change it in startup.cfg file which located in 1C Game Studios\IL-2 Sturmovik Battle of Stalingrad\data. I use 0.63, all my screen-shots are taken with this setting. Some lower wingtips are painted yellow, others are not. I thought it was a common use for nearly all ac on the eastern front. That's a good question. I made some of these skins refer to the profiles, such as Grislawski's yellow9 and yellow 10. 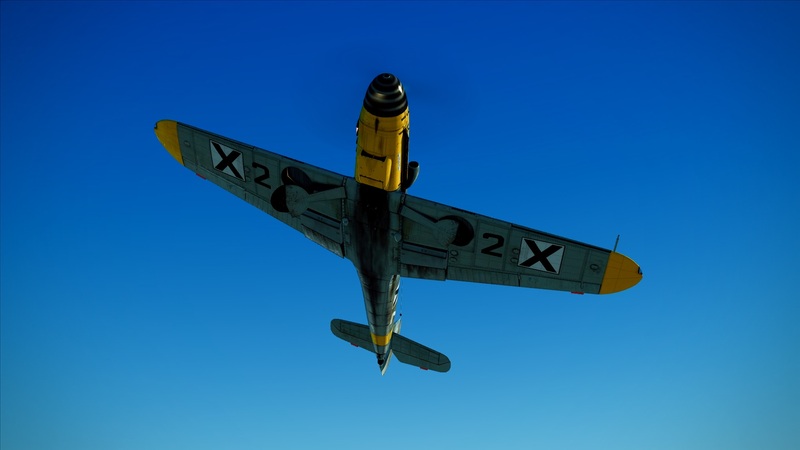 They both do not have yellow lower wing tips, unfortunately I cannot find relevant historical photos to prove it so I decide to keep some of them have it and some of them have not. Thanks Gustav for your answer. 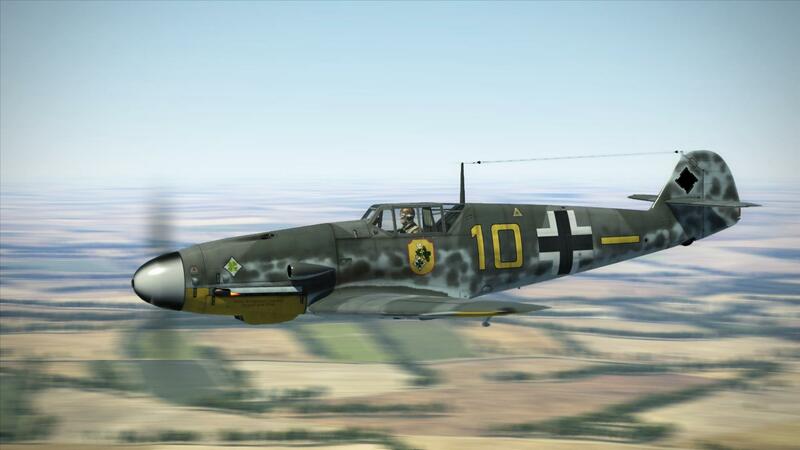 Really appreciate having a discussion about the accuracy of historical skins with peoples like you. Hi Gustav many thanks. You are right it is the gamma level. Gamma level has been 1 of my biggest problems. When is it to dark or not will always be one of my biggest problem. For now the best I could do is with quickgamma either 1.6 or 1.7. Tail victories and motif re-created directly from historical photo. Is there an updated download link for this? Can't seem to find it. Oh God I am so sorry! I forgot that I fixed the camo blend on the eppenage where the 'spine' meets the port panels. Let me fix that. Give me a few minutes. oKAY SO i HAVE TRIED NUMEROUS TIMES TO UPDATE THIS PLANE. pHOTOSHOP APPEARS TO BE BUSTED. i HAVE UNINSTALL AND REINSTALL IT NOW. Sorry for the caps. Hi guys. Great skins. I enjoy them. Hi, Here a skin that I have enjoyed with him. I hope you enjoy it like me. Hauptmann Dimitar Spisarevski "Bulgarian Air Force"
I see you never updated this skin. Is the project dead? Update on 15 Oct, 2016, accidentally added JG52 shield is removed. Great work III/JG2Gustav05, that looks awesome! Anyone interested in doing this skin? 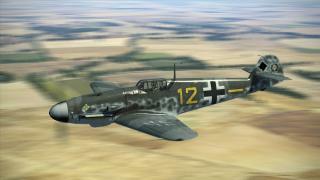 it's a JG3 Skin so a Stalingrad theatre skin,. My Apologies.  I Should have posted this profile in the F-4 Section. Looks very good. looking forward to it! Bf109G-2/R6 W.Nr.13916, Yellow 10, of Dobrich, never had summer camouflage. It was used from february to 23 march, when it was lost. It had normal "greys", covered with spots of winter camouflage. 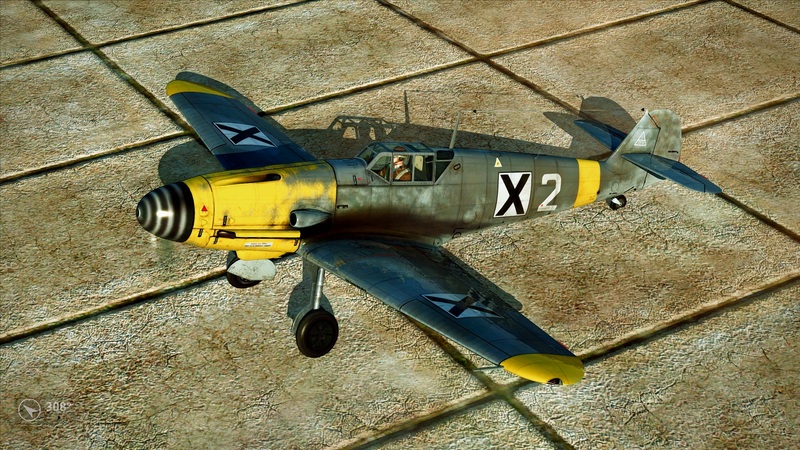 It had two emblems - II./JG5 clover on nose and Dobrich's personal emblem under cockpit. 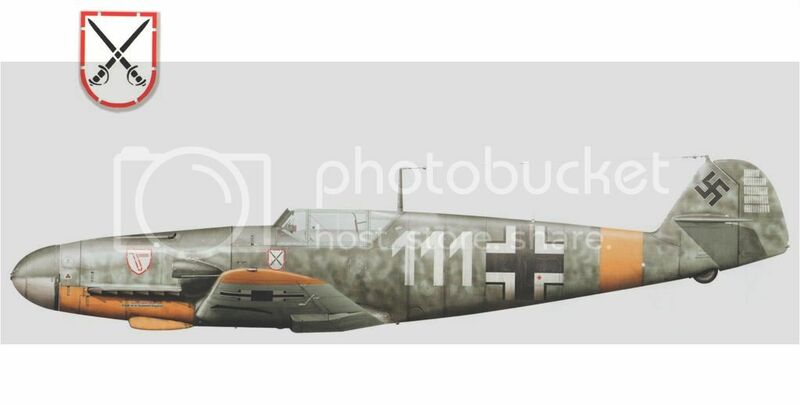 Next aircraft of Dobrich, Bf109G-2/R6/Trop, W.Nr.14800, Yellow 10, was in standart mediterranian colors 78/79, with additional RLM79 large spots, and with many white winter spots of a little bit smaller size. He flew this aircraft untill june 1943. 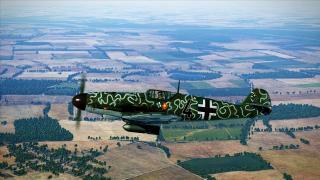 Aircraft had no emblems at all. 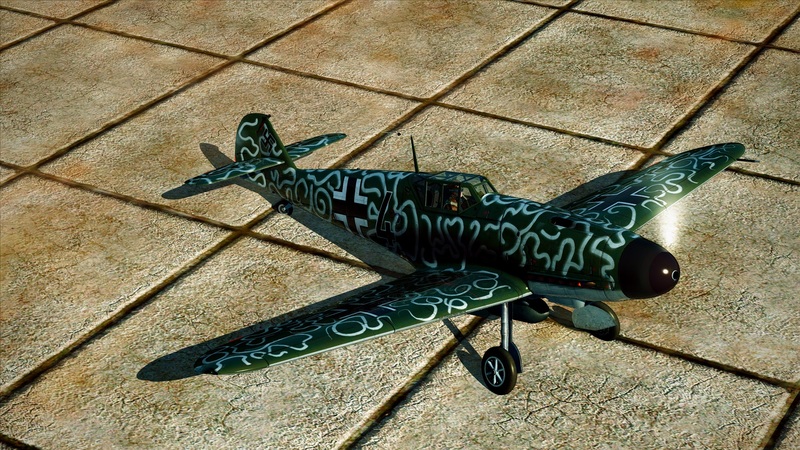 I made it some years ago, and no it is one of default skins in Bf109G-2, calld "Dobrich". For Yellow 12 of Ehrler, it is not Bf109G-2 but Bf109G-6. Ehrler's G-2 was very simular to Muller's and Dobrich's G-2/Trop's, with same style of camouflage. 6./JG52 pack, A/C numbers from 1 to 10, 12 and 13. eastern front, 1942-1943. - Yellow 6's JG52 shield is removed. - Details on the lower aft corner of the canopy is added. Yellow 8 is updated flown by Heinz Sachsenberg. There has 2 versions you can download, try the gamma=0.8 version if you experienced fading looking issue. Somebody told me that these skins look faded on his computer. please let me know and tell me your in-game gamma setting if you experience the similar issue.